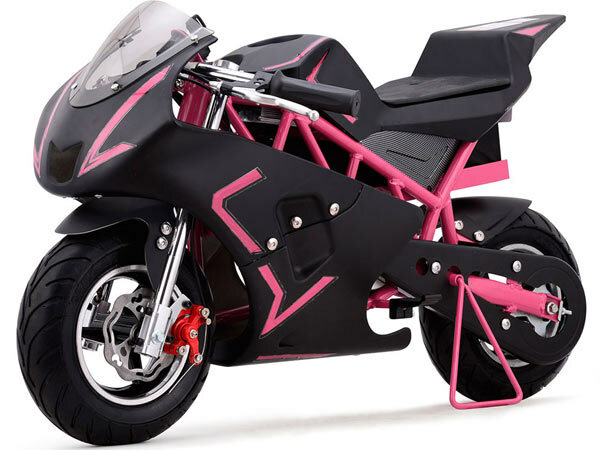 This 500 watt pocket bike may be small in size (L=40in, W=20in, H=21in) but carries lots of punch. The MotoTec Cali. Pocket Bike 500 watt, 36 volt pocket bike can obtain speeds up to 20 mph.. Super sporty styling and great attention to detail. Designed for riders up to 150 pounds. The MotoTec Cali. 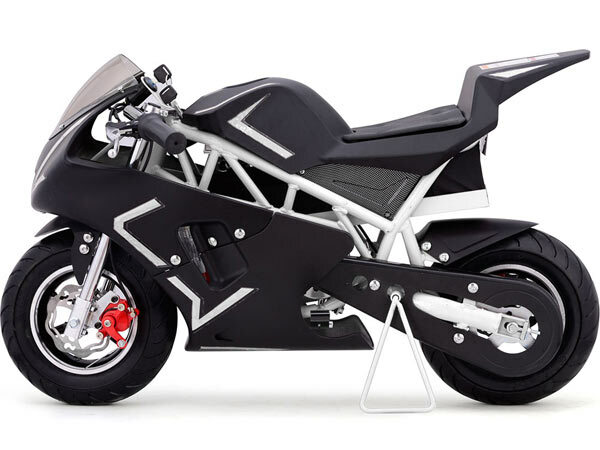 battery power pocket bike has an all steel, rigid frame. Large 11 inch Pneumatic tires and real disc brakes, front and rear. Comes with padded seat and easy to use twist grip throttle. This battery power pocket bike comes standard with LED battery meter and a keyed ignition switch that helps prevent unauthorized use. Brake actuated power interrupt feature for greater safety. The MotoTec Cali 500 watt pocket bike is for use on hard, level and dry surfaces. Moto Tec's use of superior components can provide years of fun at an affordable price. This item is not for use by small children. Is This Item In Stock. *speed, climbing ability and range depend on rider's weight, charge level and terrain. Click the button below to add the MotoTec Cali. 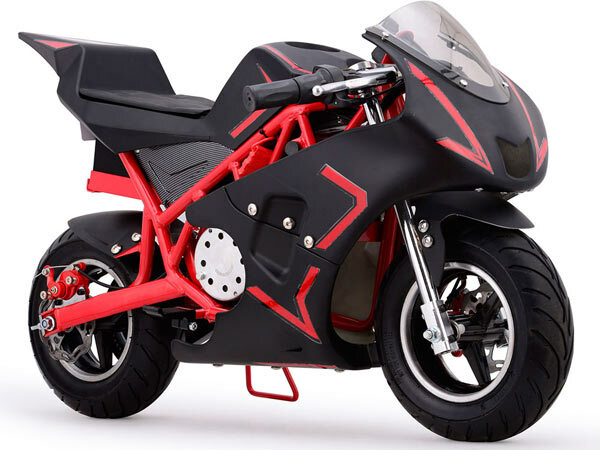 Pocket Bike 500 watt, 36 volt to your wish list.